The infant son of Shamima Begum, a teenager who left London to join the group Islamic State in Iraq and Syria (ISIS) has died, a spokesperson for the U.S.-backed Syrian Democratic Forces (SDF) says. The infant son of Shamima Begum, a teenager who left London to join the group Islamic State in Iraq and Syria (ISIS) has died, a spokesperson for the U.S.-backed Syrian Democratic Forces (SDF) said on Friday. 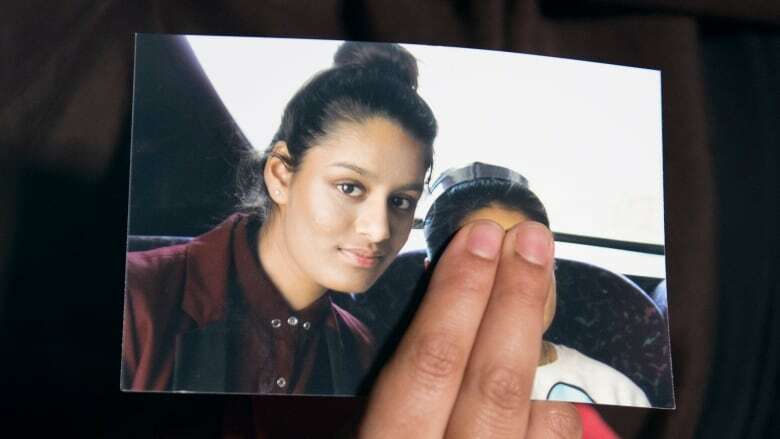 The 19-year-old left London to join ISIS when she was 15. She had sought to return to Europe with her third child, who was born about three weeks ago. The BBC reported that a medical certificate said the baby died of pneumonia on Thursday. SDF spokesperson Mustafa Bali said the child had died. Begum said in recent media interviews that her son was named Jarrah. "The death of any child is tragic and deeply distressing for the family. The fate of Begum has illustrated the ethical, legal and security conundrum that governments face when dealing with the families of militants who swore to destroy the West," a British government spokesperson said. Begum left east London with two other schoolgirls in February 2015. She married Yago Riedijk, a Dutch ISIS fighter who is being held in a Kurdish detention centre in northeastern Syria. In last month's media interviews, Begun said one of the girls she travelled to Syria with, Ladiza Sultana, married an American ISIS fighter and was killed after her house in Raqqa in northern Syria was bombed in May 2016. The fate of the other girl, Amira Abase, is unknown. Begum said Abase married an Australian ISIS fighter in Syria. Begum, 19, told a journalist she did not regret travelling to Syria and had not been fazed by the sight of severed heads. She asked to be able to return to London to raise her baby. Polls suggested the move was popular with a majority of Britons, but it drew criticism on Saturday from at least one opposition MP and a member of Prime Minister Theresa May's party. "The tragic death of Shamima Begum's baby, Jarrah, is a stain on the conscience of this government," Diane Abbott, the opposition home affairs spokesperson said on Saturday. "The Home Secretary (interior minister) failed this British child and he has a lot to answer for," she said. Phillip Lee, a former justice minister and member of May's party, said he had been deeply concerned by the decision to strip Begum of her citizenship. "I was troubled by the decision. It seemed driven by a populism, not by any principle that I recognized."